Rancho Cucamonga, CA - The Los Angeles Dodgers have moved closer to finalizing an opening day roster for Rancho Cucamonga, as the Quakes have released a preliminary roster in advance of their season opener against Bakersfield on Thursday night. 28 players currently make up the Quakes' 25-man roster, with at least three roster moves needing to take place prior to Thursday's opener versus the Blaze. Returning to the Quakes will be nine players who saw time in Rancho just last season. The returners are led by catcher Kyle Farmer, who Baseball America ranks as one of the Dodgers top-30 prospects within their minor league system. Farmer, who checks in at #30 on that list, will be joined by infielders Tyler Ogle, Adam Law, Delvis Morales and Dillon Moyer, outfielder Rob Garvey, as well as pitchers Rob Rogers, Dan Tillman and Victor Araujo. 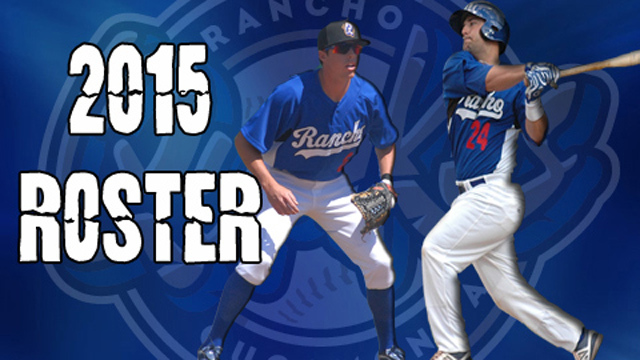 Farmer is one of seven top-30 prospects on the Rancho roster this year, according to Baseball America. Five of the other six are pitchers, with opening-day starter Jose De Leon topping the list at #6. Right-hander Zach Bird (#19), infielder Cody Bellinger (#20), right-hander Jacob Rhame (#23), right-hander John Richy (#24) and right-hander A.J. Vanegas (#29) round out Baseball America's top-30 Dodger prospects. Other hurlers making their first trip to Rancho include right-handed relievers Scott Barlow, Randy Fontanez and Jordan Hershiser, the son of Dodger legend Orel Hershiser. Lefties pitching for the Quakes this year include Ramon Benjamin, Luis De Paula and Michael Johnson. Other position players donning a Quakes uniform for the first time include catchers Austin Chubb and Spencer Navin, infielders Jarek Cunningham, Paul Hoenecke and Brandon Trinkwon, in addition to outfielders Devan Ahart and Joey Curletta. New Quakes skipper Bill Haselman and the 2015 Quakes will bus to Bakersfield on Thursday morning, with the 140-game opener scheduled for a first pitch of 7:15pm from Sam Lynn Ballpark on Thursday night. The game can be heard live on Fox Sports AM 1350 or live through the Quakes' website or on your smart phone, via the iHeartRadio application. The Quakes' home-opener at LoanMart Field will be the following Thursday, April 16th, as they host the Lake Elsinore Storm in the first game of a seven-game home stand. Opening Night will feature a spectacular post-game Fireworks Display, thanks to our friends at Boston's in Rancho Cucamonga. Everyone that comes through the gates will also receive a 2015 Quakes Magnet Schedule, thanks to Allstar KIA. Thursday is also a Thirsty Thursday, as fans can enjoy $2 Pepsi products, $3 domestic 16-oz drafts and $4 16-oz premium drafts, wine, champagne and margaritas. Individual tickets, as well as full-season and mini-season tickets are now on sale by calling (909) 481-5000 or online at rcquakes.com. We hope to see you at LoanMart Field as part of our "All-Star Season"...Go Quakes!